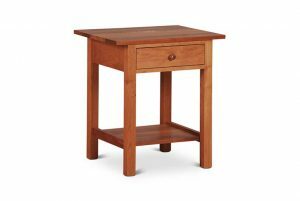 Our Biscayne Nightstand is offered in two widths, 20″ and 30″ wide (shown), by 26.5″ tall by 20″ deep. 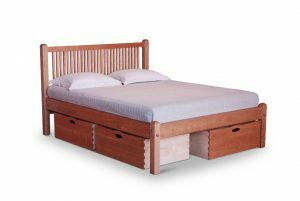 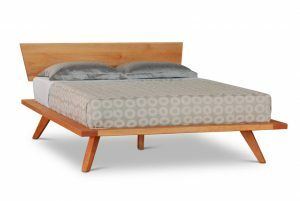 Crafted from you choice of solid cherry (shown), walnut or birch and finished with a non-toxic oil and beeswax finish. The case of the nightstand is of elegantly dovetailed construction with a single drawer. 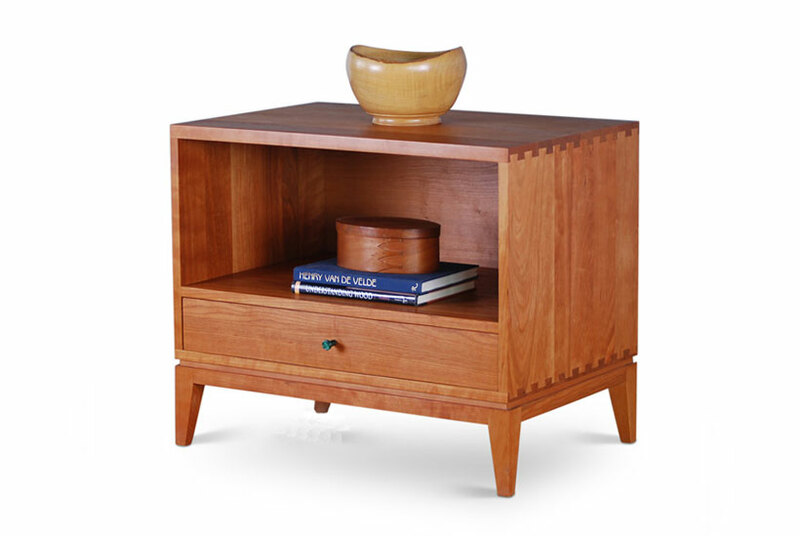 The drawer is also of dovetailed construction with maple sides. 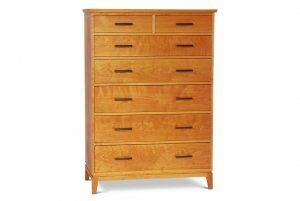 The Biscayne is a coordinate nightstand to our Harrison Dressers – see Harrison Seven Drawer Dresser.